Philipp Reiter (COO) and Steffen Schmidt (Leibnitz University Hannover) will present the results of a multi-method study on the influence of the increasing number of touchpoints during the Shopper Journey at the Shopper Brain Conference USA. When analyzing the qualities and interactions of individual touchpoints, the combination of implicit (EEG, EDA, eye tracking, reaction time measurement, facial coding) and explicit methods (self-report) have a significantly higher forecast probability of purchasing decisions over classical (purely explicit) studies. 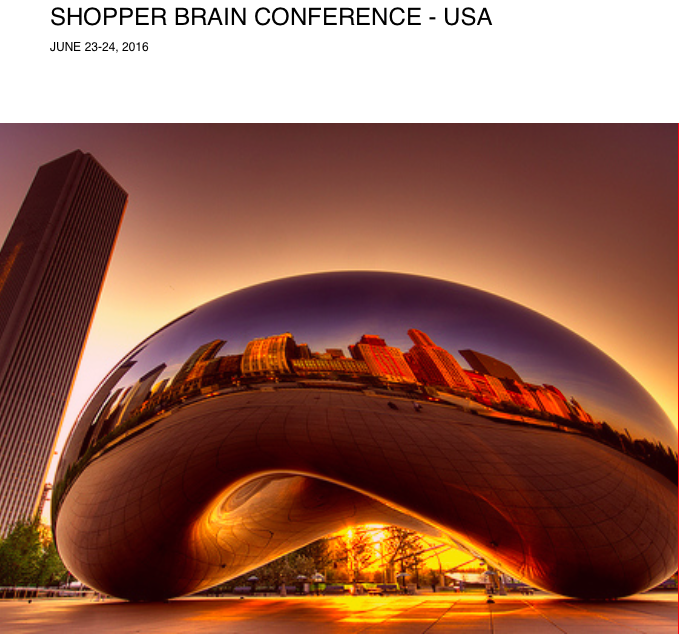 The Shopper Brain Conference is organized by the Neuromarketing Science & Business Association and A.R.E. | POPAI The New Association. It is devoted to the intersection between retail and neuroscience. The conference will be held from 23rd to 24th of June in Chicago. Click here for details program.